It's Grymn Out There. : Torge's Tigers arrive in Powered Armour. Torge's Tigers arrive in Powered Armour. 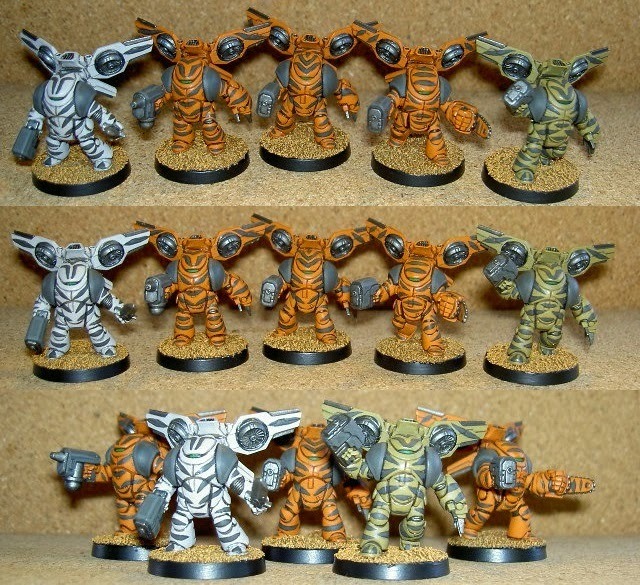 After seeing some excellent jump-packs over at Puppetswar Miniatures, I decided that I would add them to some Grymn wearing powered armour. I think that the jump-packs work perfectly and actually look like they have the oomph to lift the extra weight of the armour.